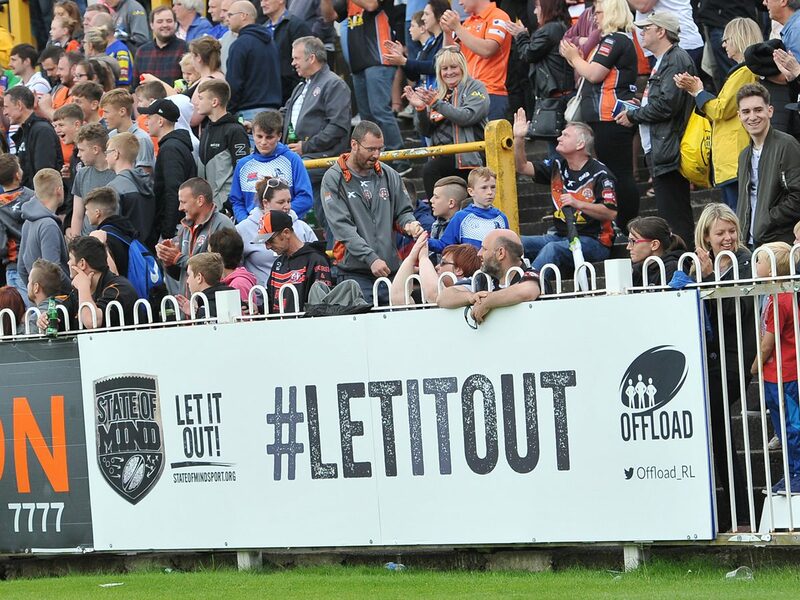 This year’s theme supported and raised awareness of the mental health programme Offload, currently being delivered at three Super League clubs. More than 50,000 people attended the round and there was a TV audience of more than 200,000. A record number of volunteers assisted, while the Movember ManVan was also present at three games. Massive media coverage for State of Mind’s best ever themed round year, including comprehensive features on TV, radio, newspapers, magazines and club outlets. More than 250 items of media coverage, including features on Sky Sports and BBC. More than 45,000 attended the round, with 7,400 cards given out and a TV audience of more than 325,000. Advertising boards dedicated to Let It Out were displayed at three matches. A new film was also launched prior to the round. The new international theme tee-shirts were designed by Luke McGeach from Liverpool JMU following a competition. More than 56,000 fans attended the games, with 8,300 mental fitness cards given out, and 290,000 viewers watched on Sky Sports. A new film was released, which coincided with a State of Mind day with presenters, ambassadors and volunteers to generate content and interviews for coverage. This year saw a focus on looking out for your mates, colleagues and family, encouraging people to support someone they know. 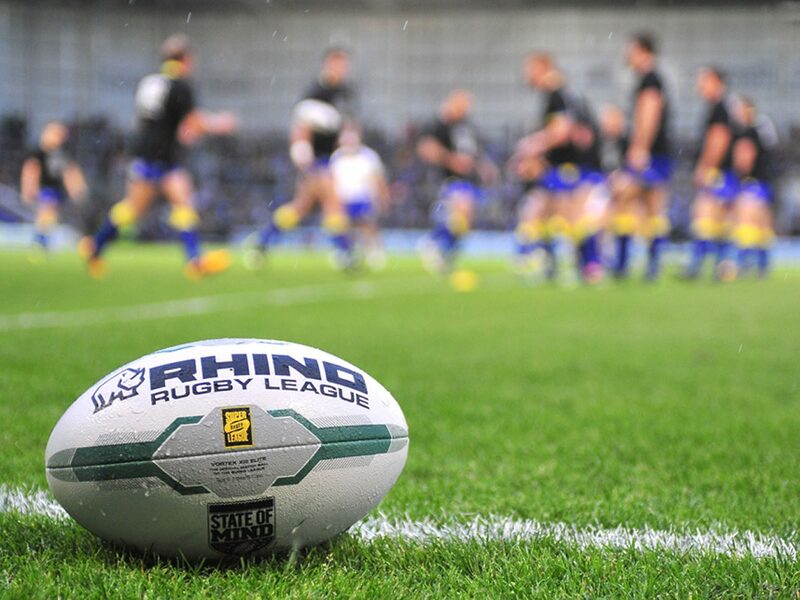 Games took place at Warrington and Leeds, live on Sky Sports, as well as Salford, Hull, Castleford and Huddersfield. A number of players came on board as ambassadors, tweeting messages relating to the What’s Theirs theme. This built on the success of the previous year’s campaign and continued to establish the State of Mind round as a key part of the rugby league calendar. More national press got involved with the round, both in the build-up and during, while clubs were also very supportive. 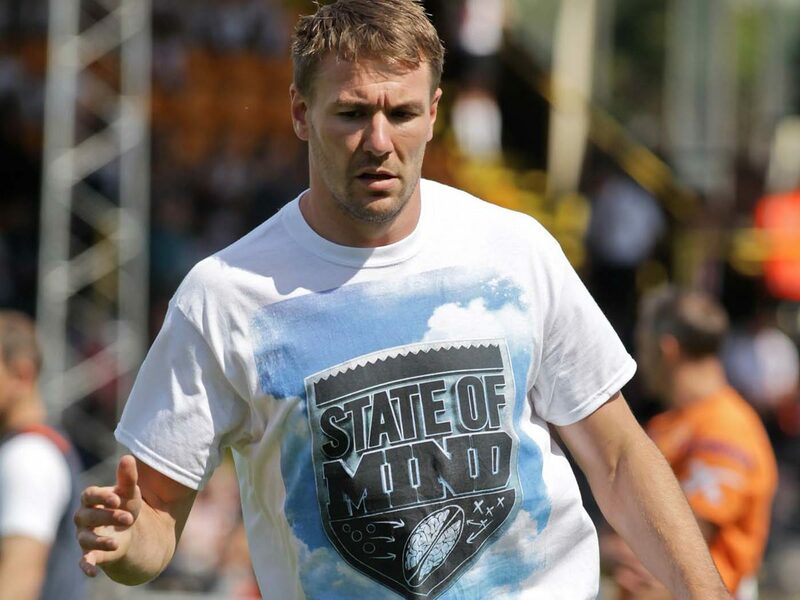 A Sky Sports feature presented by Angela Powers and featuring Danny Sculthorpe and Paul Wood won a Mind Media Award. The first year of an integrated media and marketing strategy saw unprecedented coverage amongst clubs and the press. This meant a social media reach of more than 2.5m, as well as several players coming out in the press to tell their story. BBC ran a live feature on State of Mind outside Headingley during the round.